While on a location job getting equipment set up, I found this made a very pleasant photo. A simple still life with a beauty dish and a gorgeous orange wall. I recently nabbed my Force FX Lightsabers out of storage and brought them to the studio to house them on the wall. I've always wanted to find a simplistic mounting option that didn't look big or bulky, and after doing a little internet searching, I found out that Force FX Lightsaber handles fit perfectly in these mounting brackets made for Maglite flashlights. They just screw right into the wall and after popping the handles in them, you can hardly see them, and it looks like the lightsabers are floating off the wall a few inches. The above image was taken a few moments after getting all three installed. How awesome is that!! 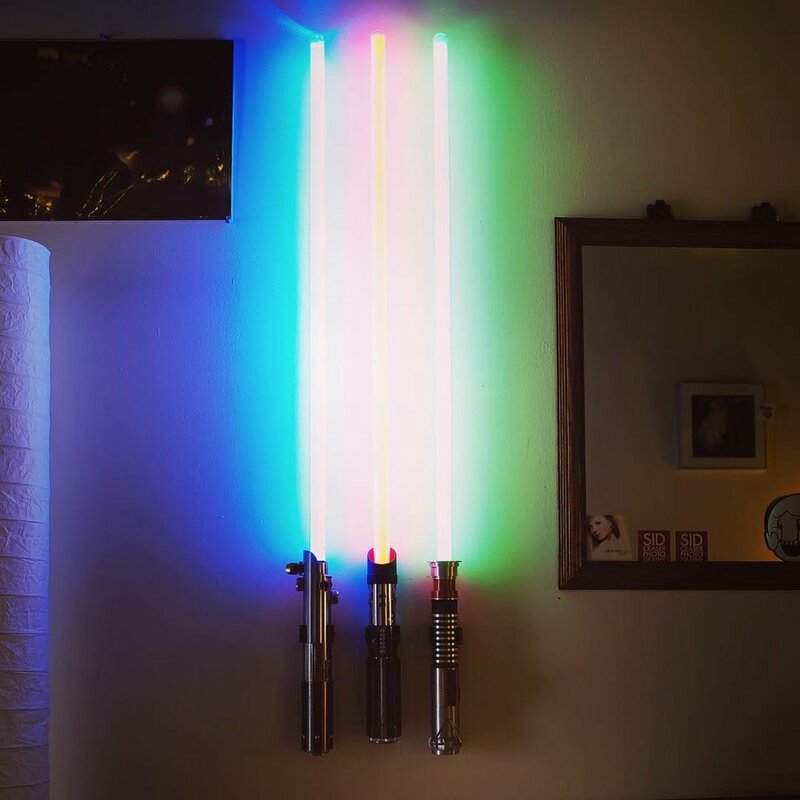 If you are a nutjob like me and have to have lightsabers, these are the classiest, simplistic way of displaying them. So excellent. Click the small image above to order them through Amazon. I honestly can't remember a time in my life when I didn't get up early on a Sunday morning and go flea marketing. Some people go to Church. Some people sleep in. Some get the paper and plop down with a cup of coffee and read the news. Some go for a jog. For me, it's always been walking up and down dusty paths and looking over other people's things that they are selling. Rows and rows and boxes and boxes. Thousands of strangers. Haggling on prices. 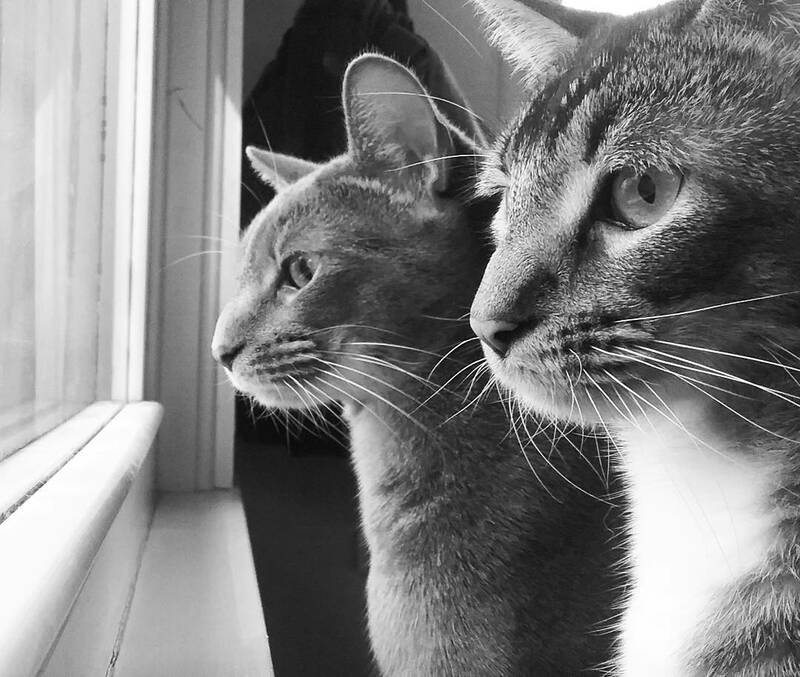 People watching. Fried dough and hot dogs and snow cones. Toys and records and music and comic books and movies and ... everything. I got my first 8-bit Nintendo Entertainment System (along with Castlevania) at the Derry Flea Market. I got my friends into buying speakers and speaker boxes and amplifiers for our cars at the Salem Flea Market. I am a product of swap meets and flea markets. 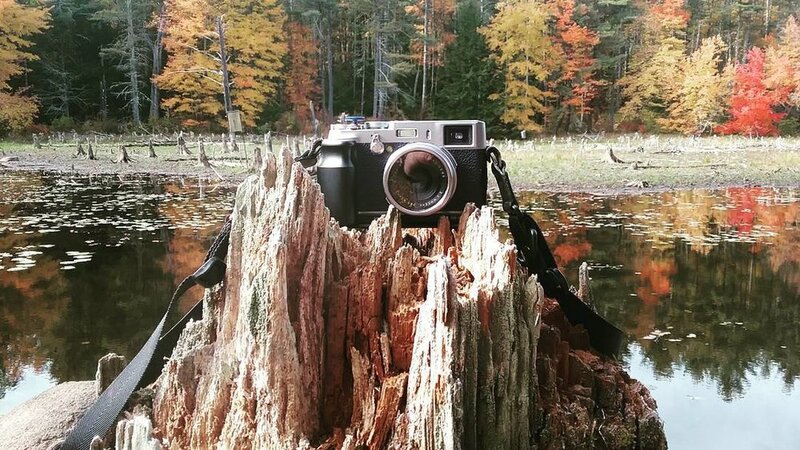 A FujiFilm X100s, caught in the wild, grazing near a lake at Beaver Brook Park, Hollis NH. 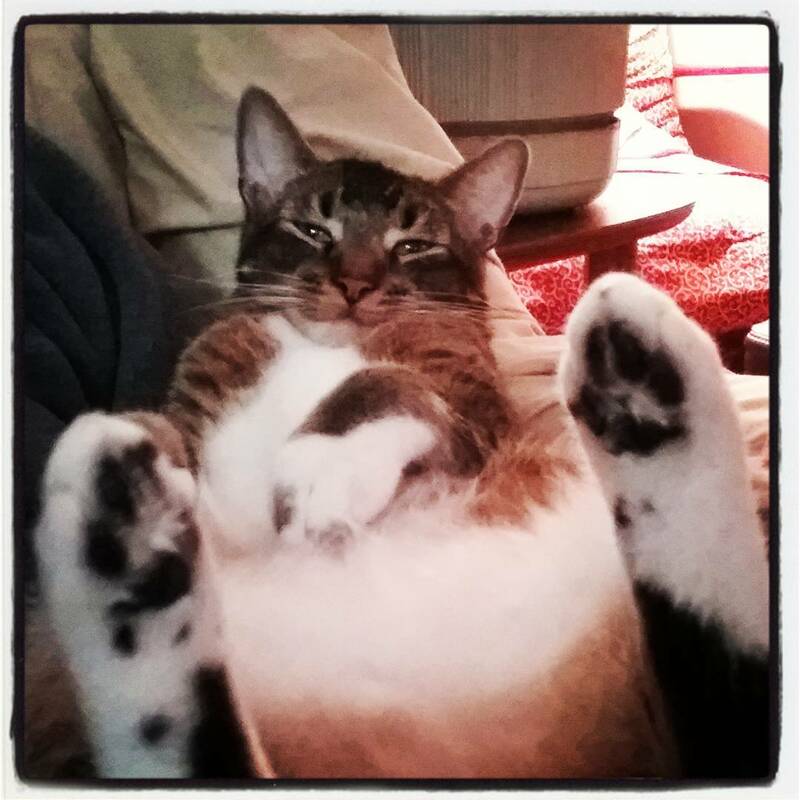 We interrupt this blog to bring you an obligatory "I Flippin' Love My Kittehs!" post. 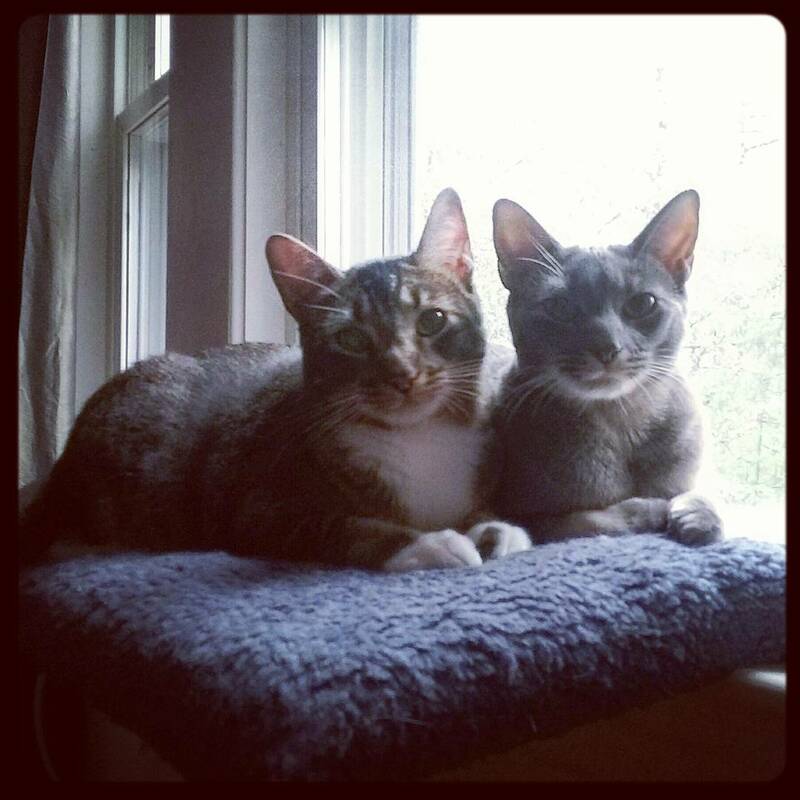 Jonesy (L) and Migs (R) So cute I can't even deal. I CAN'T EVEN! I CAN'T EVEN!!! ALL THE FEELS! 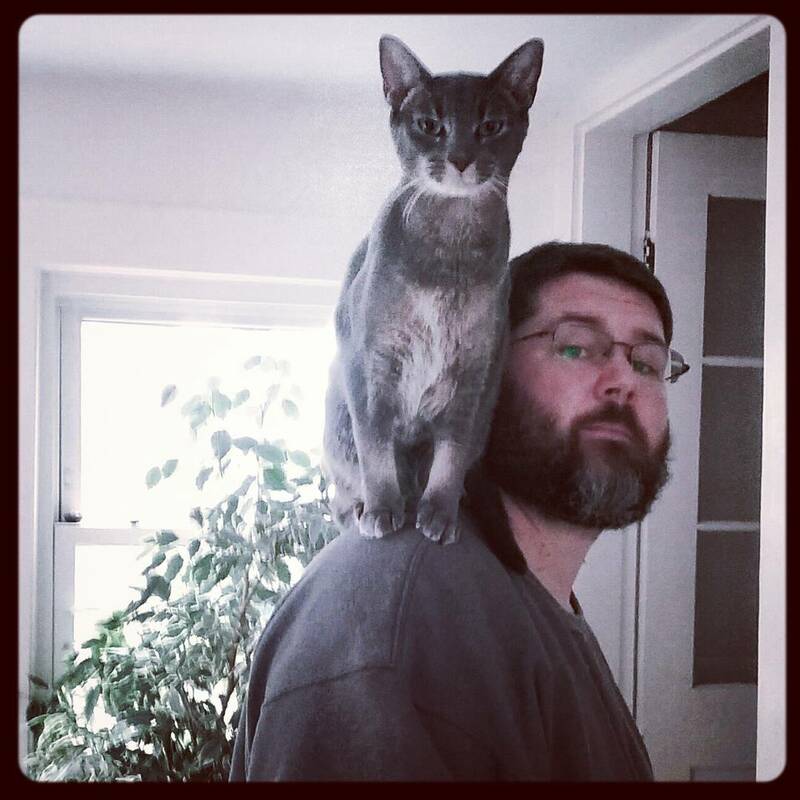 Everybody, I love my cats. I love 'em! "Martin Luther King, Jr. didn't carry just a piece of cloth to symbolize his belief in racial equality; he carried the American flag." 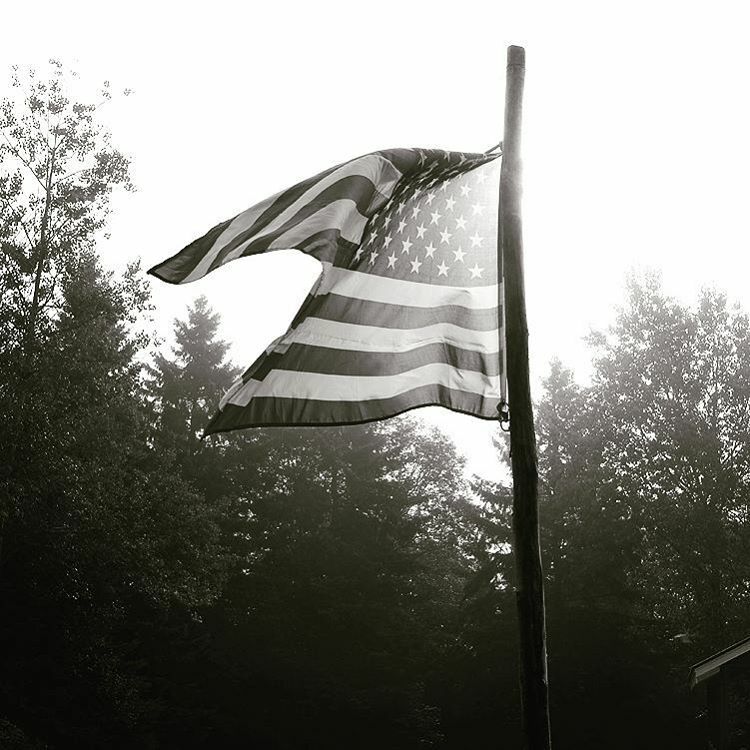 Taken during an early morning in Pittsburg NH just as the fog was clearing. A few weeks ago I picked up a Fuji Instax printer. It allows me to print mini-polaroids of images off my cell phone, or images I've uploaded/downloaded to my cell phone. I picked one up because Fuji recently discontinued all of their instant pack-film, which I love. 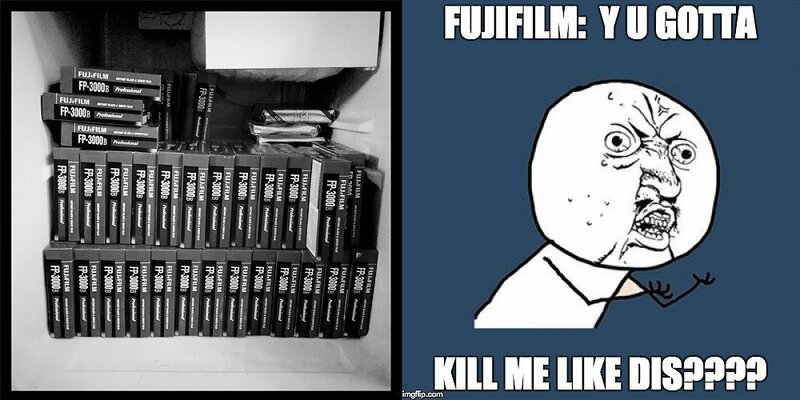 I stocked my fridge up a few years ago of FP-3000B, the black and white instant film, when they ceased production of it. 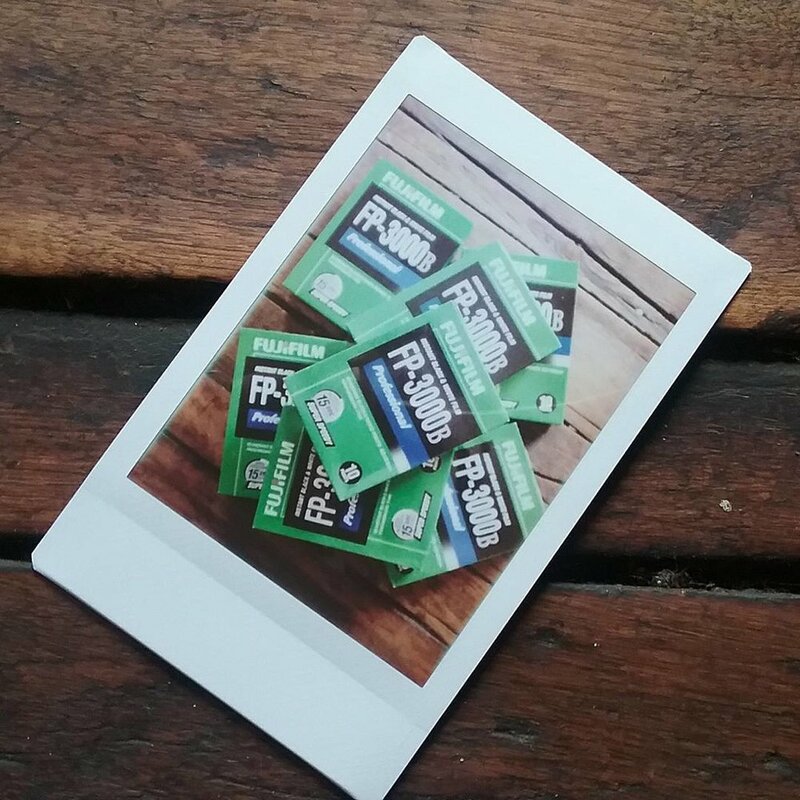 The final nail in the fuji pack-film coffin was when they announced earlier this year that FP-100C, their color instant film, will stop being made. So the Instax came the other day, and with my Fuji X100S I took a photo of my Fuji FP-3000B and through a Eyefi SD card sent the image to my Android phone which I then sent wirelessly to the Instax printer which made an instant print and I then took a picture of the print with my Android to upload to Instagram. Portrait of a Store Clerk, Los Santos, USA. I find I spend more time in Grand Theft Auto 5 wandering around taking street photography then I do anything else. I love it. What an amazing game. What an amazing, fully functioning, alive world it is. Me. Pretending to be a lawyer. I'm not above assisting other photographers on gigs. 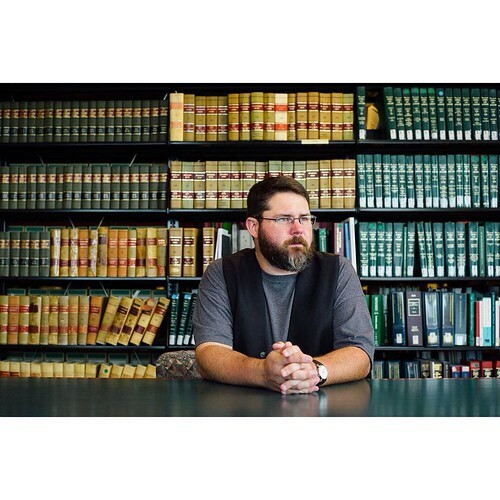 I happily helped my buddy Matthew on some corporate gigs and here I am, sitting in for a test shot, pretending to be a lawyer. The rug totally pulls my gear together.